“STEAM Day” was a partnership between Bon Secours Wellness Arena, Greenville County schools, and Vocational Rehabilitation. Participating businesses and organizations included SYNNEX Corporation, McMillan Pazdan Smith Architecture, The Children’s Museum of the Upstate, and Greenville Zoo. Students assemble small robots as part of “STEAM Day” activities. 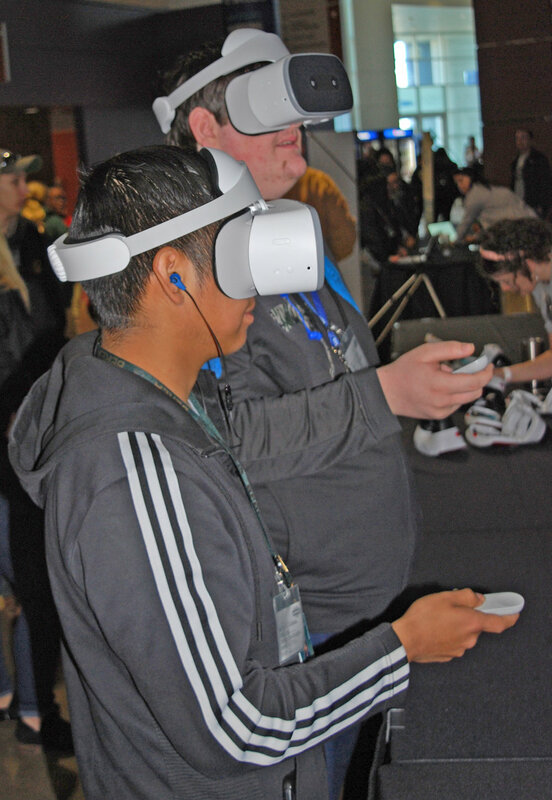 Students have fun exploring virtual reality learning during “STEAM Day” at Bon Secours Wellness Arena.